Dr Barbara Veronese, Partner at CEG Global, provides expert economic advice in competition, damages litigation, regulation and state aid. She has advised private and public sector clients on national and EU-wide matters, including Amplifon, British Telecom, Colacem, Cosmote, Deutsche Telekom, EE, Eurocontrol, Heineken Italia, the Italian Communications regulator, Leaseplan, Linde Medicale, Marionnaud, Metro, Media Saturn, PosteMobile, SEA Airports, QVC, Sky Italia, the Singaporean Competition Commission, the UK Office of Communications, UPS, YOOX and multinational players in the financial intermediation, chemical, pharmaceutical, steel, medical devices, packaging, recycling, food and beverages, eyewear, energy and electronics sectors. In her practice she applies an array of quantitative tools to the analysis of performance, cost benchmarking, merger effects and efficiencies, bidding events, "water-bed" effects from wholesale to retail markets, market definition in settlements, litigation, regulatory and competition cases. As an experienced econometrician she has in depth expertise on the assessment of cartel effects and damages. Dr Veronese has advised extensively on mechanism design, procurement, auction design matters and spectrum policy (including in Austria, the Czech Republic, Germany, Italy, the Netherlands, Romania and the UK). She has particular expertise in relation to regulatory and competition issues in transport and broadcasting, including the management of TV platforms, communications and postal services. Previously, at Ofcom she focused on competition and spectrum policy. Before joining Ofcom she taught graduate and postgraduate courses at the LSE and worked at NERA in London. 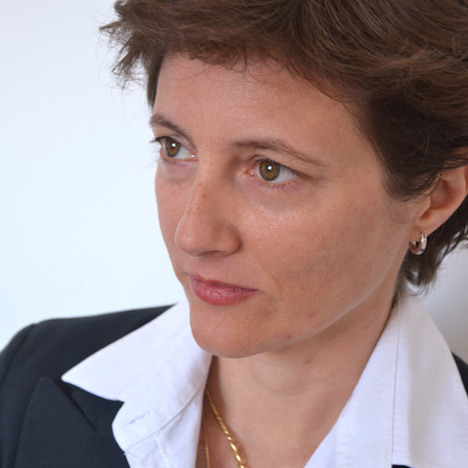 Dr Veronese is a graduate of the University of Venice and she holds an MSc and PhD in economics from the LSE. She features regularly in the international recommended competition experts global rankings (Expert Guides, Global Competition Review, Who is Who Legal).